Can a Small Bump on Your Back Be Cancer? Can a Yeast Infection Cause Sores or Blisters? When you are suffering from an irritating skin condition, it's natural to feel like hiding from the world. The writers at LoveToKnow Skin Care understand the pain, discomfort, and embarrassment of skin disorders and diseases. From the merely annoying to the completely debilitating, skin conditions affect your life. The articles in this category can help you make sense of them. Sunburn: Learn about the dangers of sunburn, as well as how long a sunburn lasts and tips to get relief from the pain associated with sunburn. Skin cancer: Learn important information about skin cancer prevention and find out how to watch for the warning signs of this dangerous disease. Allergies: Educate yourself about skin allergy conditions and find out how to recognize allergic reaction rashes for what they are. Moles: Find out facts about various types of moles, including red moles and ones caused by Candida, as well as their meanings and removal information. 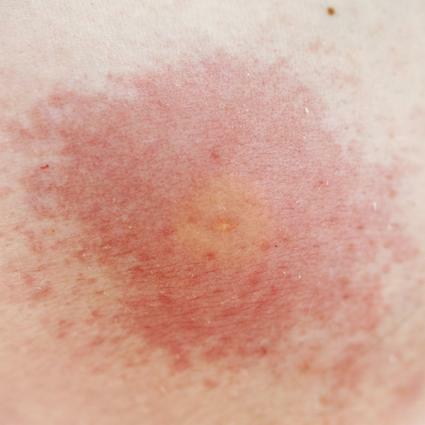 Pests: Get helpful information about bee sting reactions and how to treat and recognize bed bug bite marks and other insect bites. Nature exposure: Learn to recognize and treat rashes that commonly occur when enjoying nature, including poison oak, poison sumac and poison ivy. Many other topics related to skin conditions and disorders are covered on the site. The articles provided here are for information purposes only. Do not try to self-diagnose; instead, see your doctor to find out exactly what is going on with your skin and to learn how to best approach treatment, management and prevention. With good advice and the proper care, even those suffering from skin conditions can show the world their best skin.